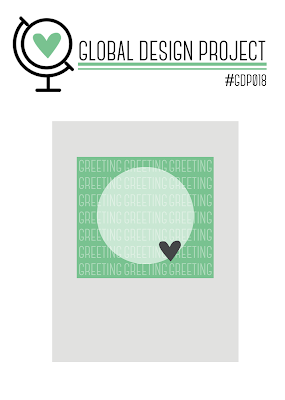 My last card for class this week! I love the hummingbird and these colors on him too! layers of the flowers in Calypso Coral. I stamped the bird in Smoky Slate then Bermuda Bay then Black. 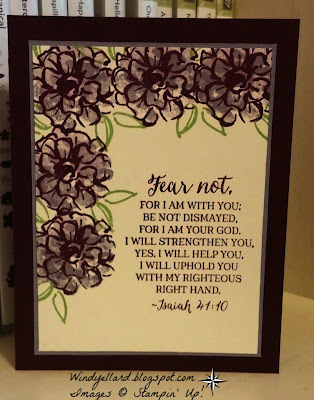 I hope you have a lovely and Blessed Sunday! 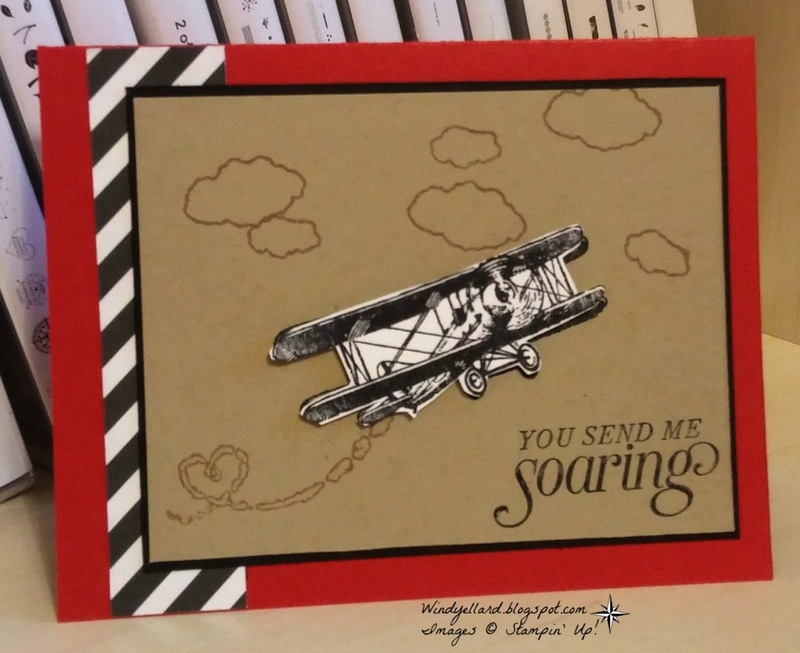 The Valentine and 4th card for class this week! 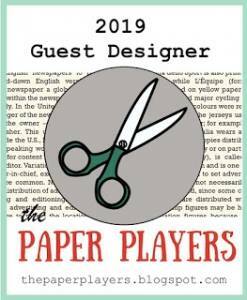 I will probably confuse my guest but hopefully they will be forgiving! I am allowing them to pick their DSP to use. 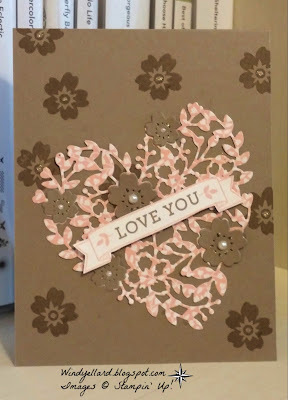 and a Blushing Bride card stock heart for their other card. or they can stamp the flower right on the heart. Should be fun and crazy! I hope you have a lovely weekend and thanks for stopping by! 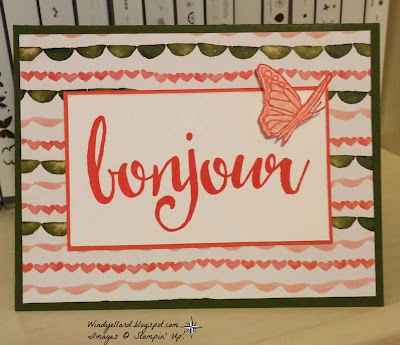 I saw my chance to use the Bonjour greeting again! 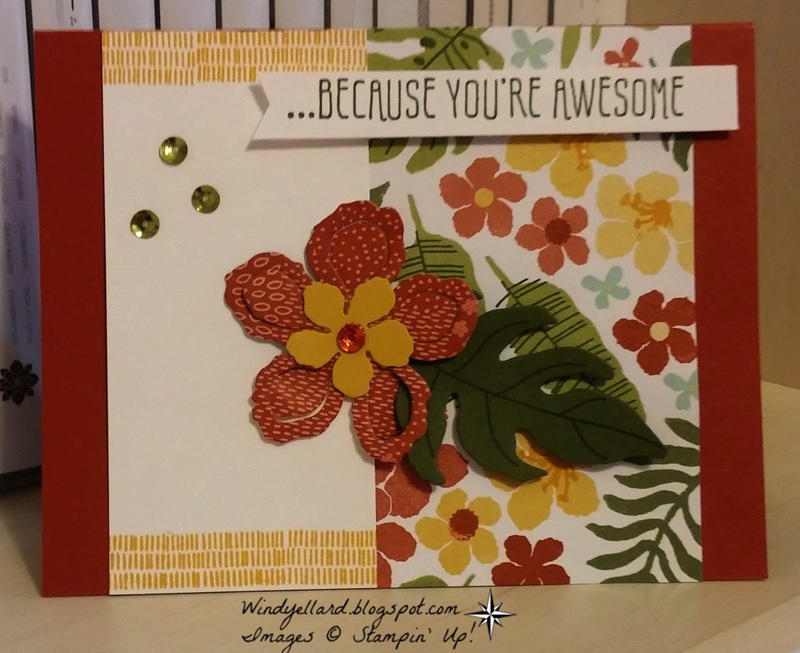 I started with some of my fav DSP right now-Birthday Bouquet! That gave me the color combo. to punch but then decided on this butterfly. I did not want to take away from the greeting! Please play along this week! 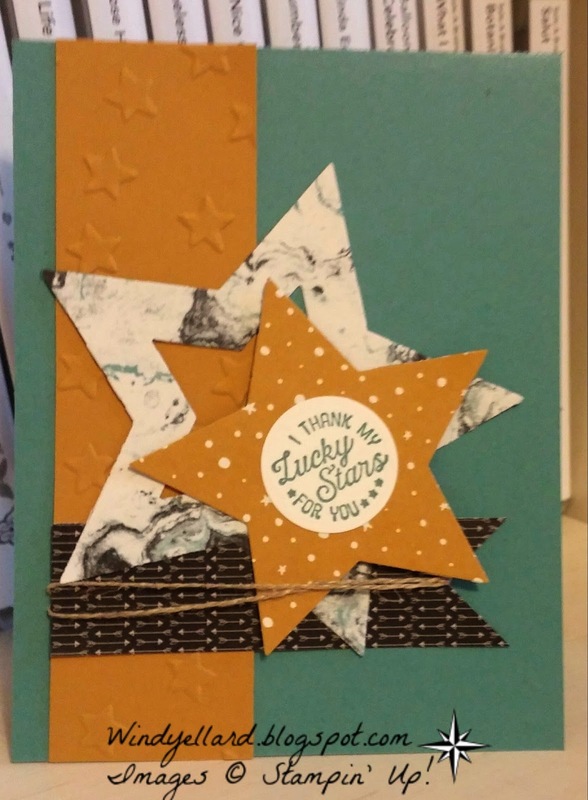 I knew I would design with the star fish when I saw the colors this week! in Pink and Watermelon then snipped it out. grunge background and I used some sequin for a little bling/sparkle! GDP020 Love You With Glimmer! 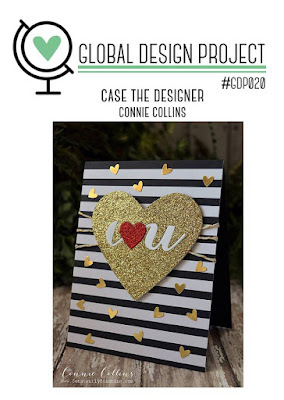 Today we are casing the designer...love Connie Collins and her work! Wish I could photograph as well as create like her! 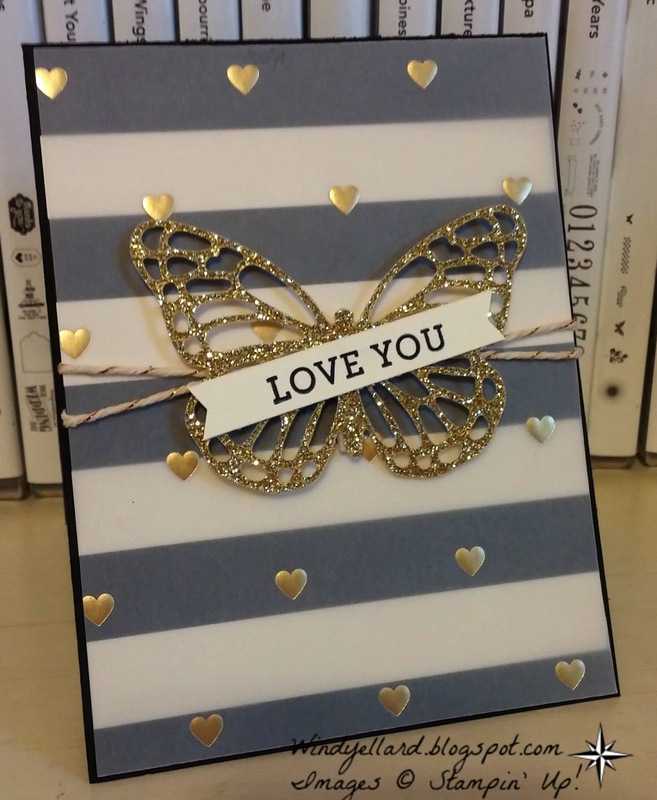 I cased her black strips and gold glimmer paper along with the gold hearts. 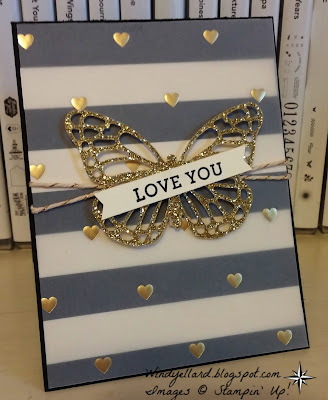 I used the Gold Foil vellum over the Timeless Elegance DSP then cut over a glimmer butterfly! I am sending this in my college girl's Valentine's day box...love and miss her so much right now! Thanks for stopping by! and enjoy your Wednesday! that I usually forget I have! and the coordinating DSP is Going Places paper stack! I hope you have a fabulous Tuesday and thanks stopping by! 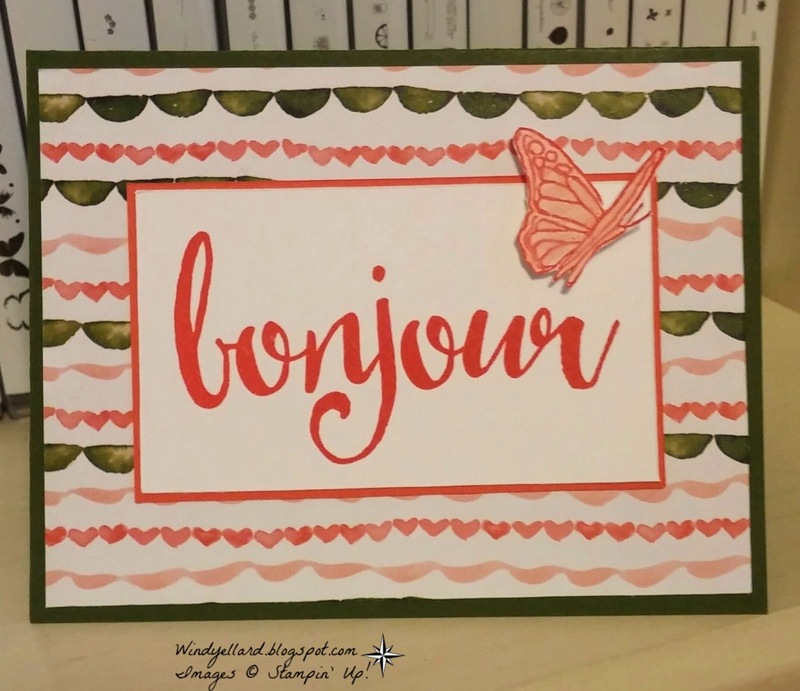 Third card for class in February! 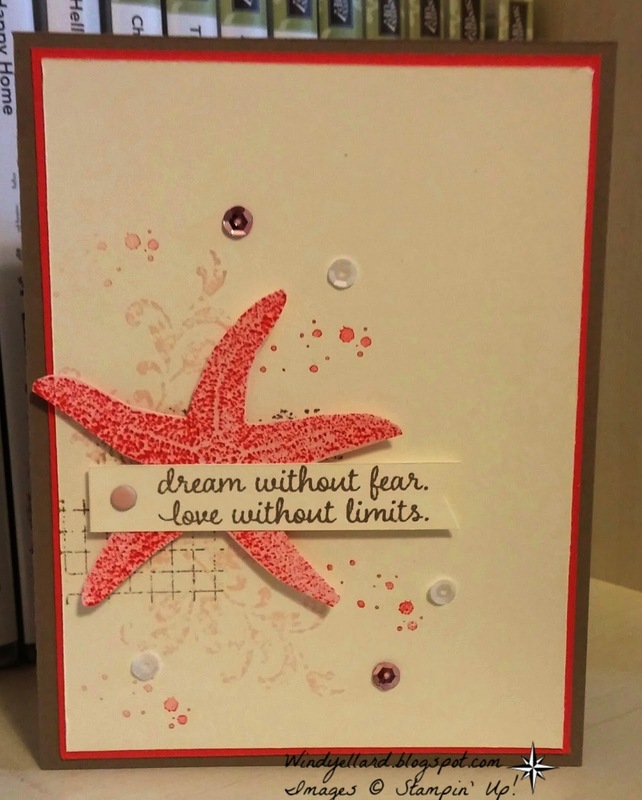 I have used several new items here like the Confetti emboss folder at bottom of card. 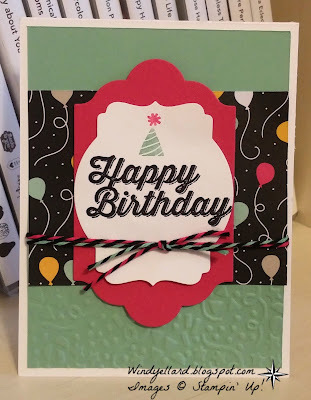 The It's My Party DSP and matching baker's twine! 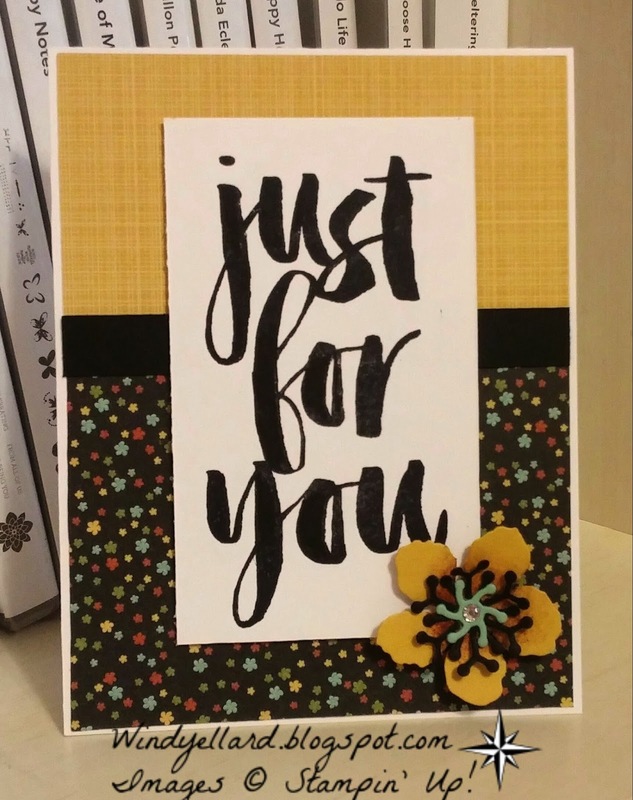 The sentiment is from a SAB set called Perfect Pairings that is free with a 50.00 SU! product purchase now through March 31st, 2016! The cute little hat is from another SAB set you can earn free called Hello! This is my second card for class in February! 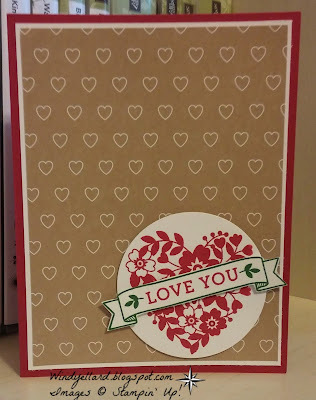 I wanted a masculine card that could be used for Valentine's or a birthday. 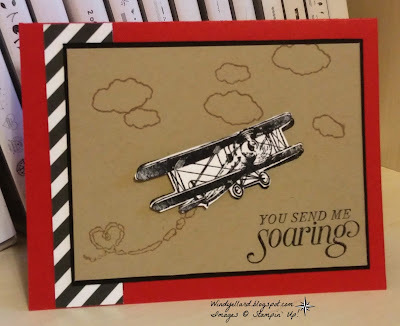 I stamped the plane on the Crumb Cake and then stamped again on the Whisper White and popped it up over the other plane. If someone does not want to cut the plane out, they can see what it looks like. I will show them in class both ways by removing the white plane. First card for February's card class! I love the sentiment from Suite Sayings in the Occasions catalog! A very fun card that could be for any occasion! As soon as I saw this sketch, I thought of these flowers. 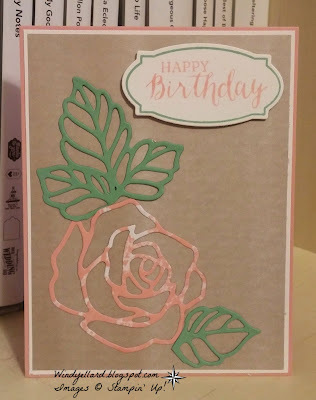 and when I grabbed my Rose Wonder stamp set. I knew right away this was the perfect sentiment! and then full on Wisteria for the last step. 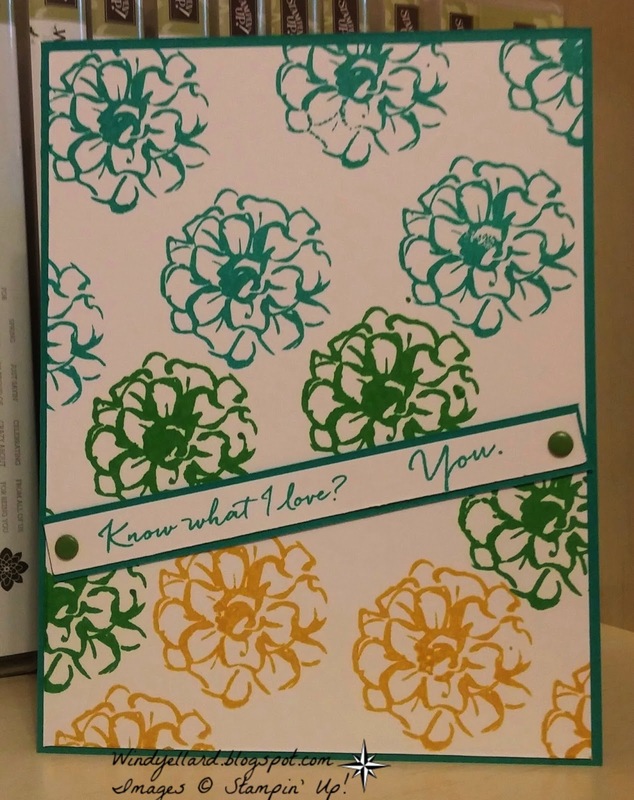 Yes, this is a busy card....but hey it is bright! 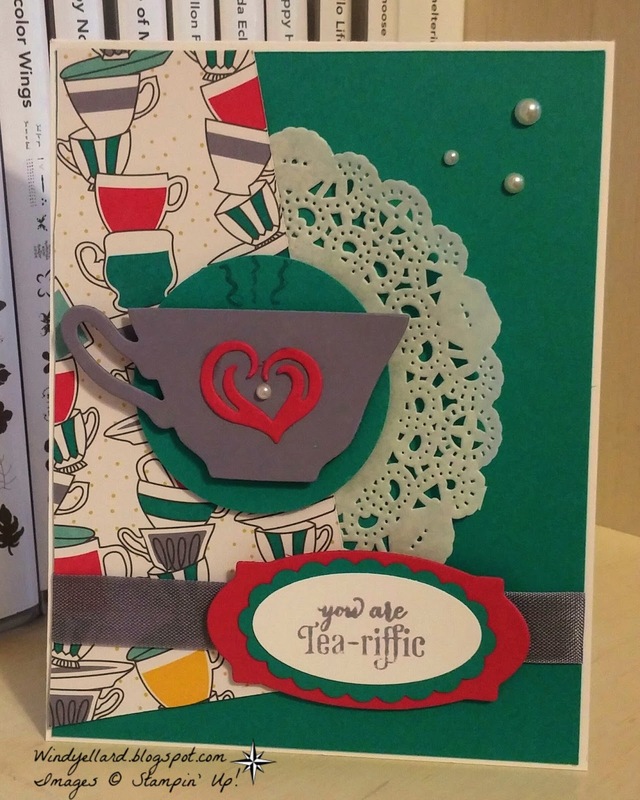 I first thought of the doily when I saw the sketch and then I thought about the Have A Cuppa DSP paper stack I just got and wanted to use! 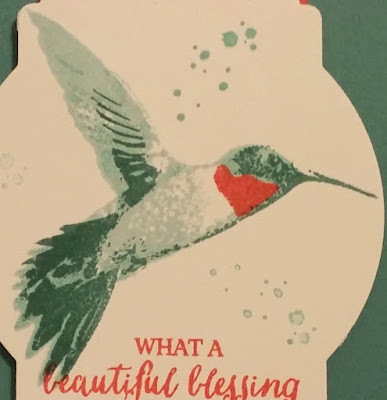 So the card came together from there! Hope my drawing of the "stream" from the cup is not too bad! Hope you can join us at palspaperarts.com and play along this week! and making strings with the Balloon Celebration stamp set. for free with a 50.00 SU! product purchase! Made the banner but needed a little something behind it. Looking forward to playing ore with all these sets and punch! 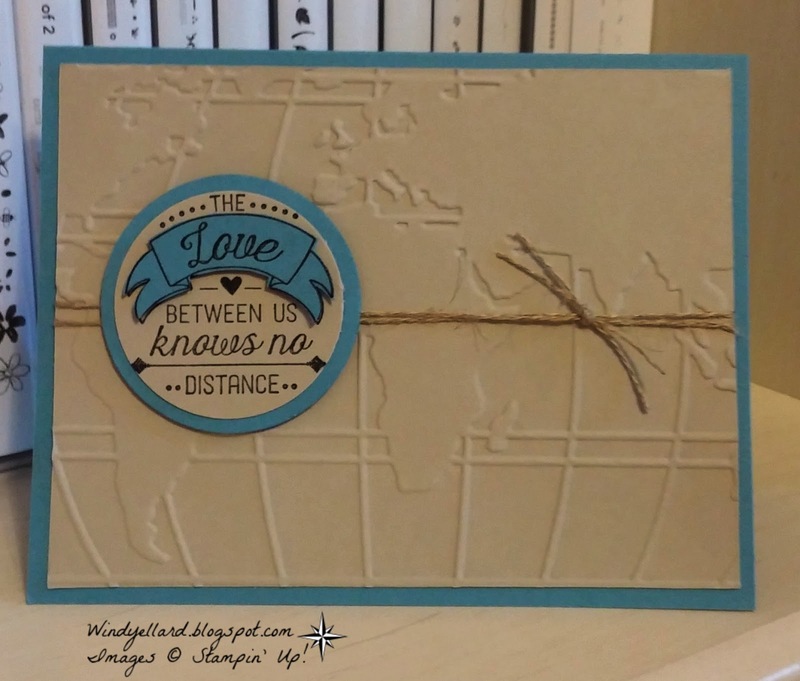 PP278 and GDP019 Knows No Distance Valentine! 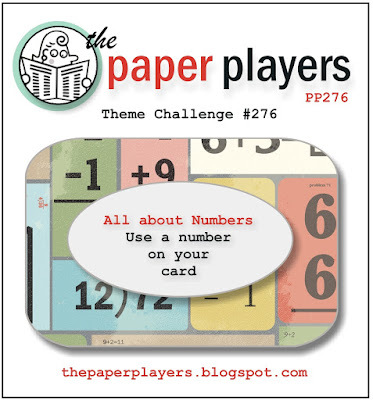 Combining two challenges today which I never do but they are the same theme so I went with it! 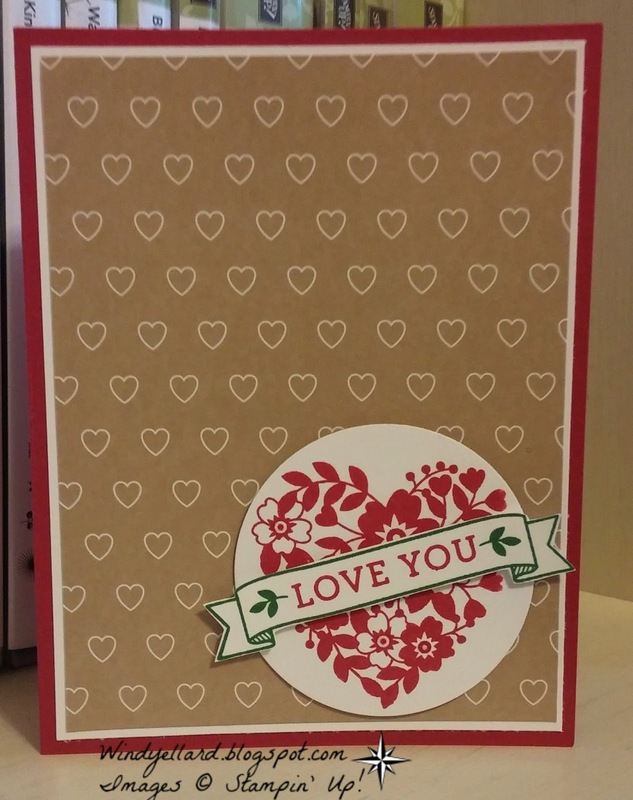 Very quick clean and simple Valentine for my husband or son...they do not like frills and glitter! I stamped the sentiment on Sahara Sand and then again on Marina Mist and snipped it out to layer over the Sand one. I hope you have a blessed Tuesday and thanks for stopping by! I cased a little from Becky Roberts over at inkingidaho.blogspot.com. She used shades of pink but I tried my hand with the blues. off once on my scratch paper before each. Same with my next layer of Pool Party and then same with Soft Sky. 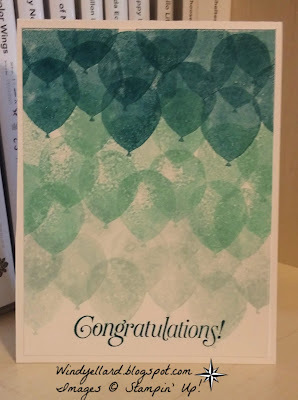 the Congratulations from Sky Is The Limit SAB set. 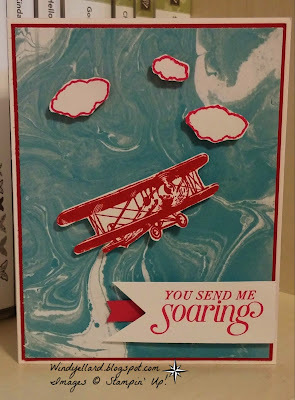 Love the Balloon Celebration stamp set but need to do more playing around with it! the sentiment and how it is displayed. I started to go straight across then it moved on me and I liked the slant! when you spend 50.00 in SU! products! I would add the flowers from What I Love around and that would be the card. the colors of the Love Blossoms DSP, I grabbed it. 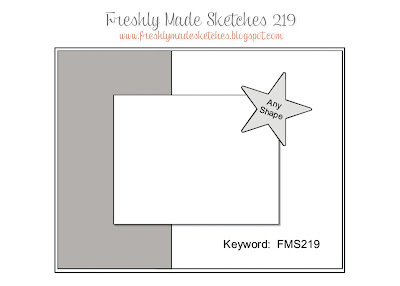 Now I do not care for this pattern of paper but I am determined to use it! 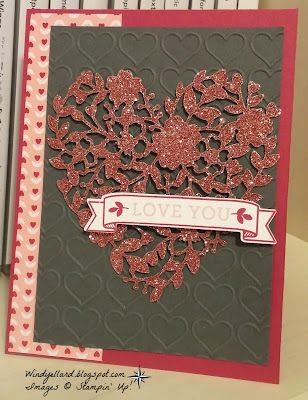 from the Love Blossoms embellishment kit. This is off to my college girl...miss her sooooo much! when you spend 50.00 in SU! products now through March 31st, 2016 with the SAB promo. The Bonjour is in French (item #141270). In English, it is Hello (item #141243). 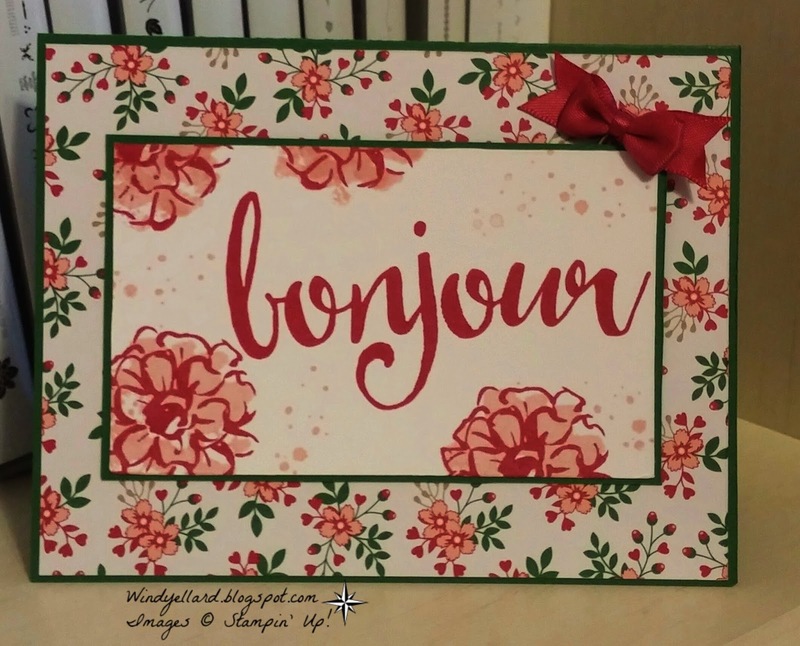 This is my first set in French but I could not resist the large Bonjour! Happy I got it free with the SAB promo! 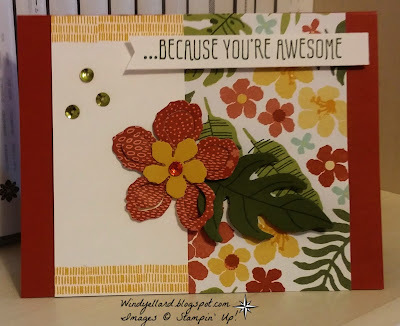 I used some of the DSP from the Botanicals suite along with some of the dies to cut the flower and parts. These could be fun! I am just starting to play with this suite! I hope you have a bloomin' great day and maybe get to play along with the sketch challnge! PPA283 Thoughts and Prayers Picture Perfect! When I have a color challenge, I like to sit my ink pads in those colors pout and stare at them hoping an idea jumps out. Sometimes , I know if those colors scream a theme or not. These did not right away so looked at my new sets and then I decided I could somehow make those colors work for the Picture Perfect set. Well, I did and so happy with the way the card turned out! 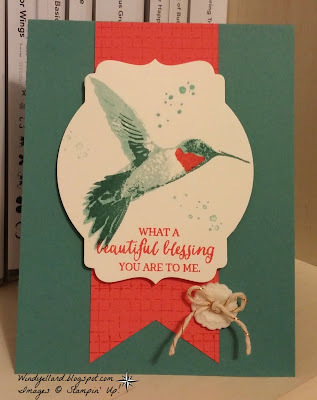 I stamped off with the Mint and the Mambo inks as to not need any other colors. 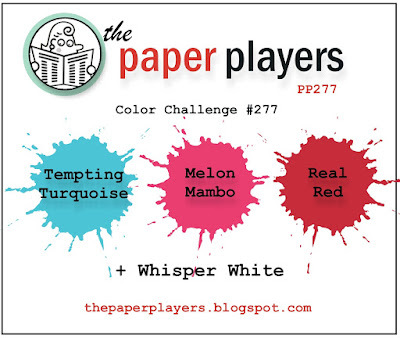 I hope you can play along this week and work some fresh new colors into your world. Head over to Palspaperarts.com to join the fun and see our fresh new blog! I made this for my mom. 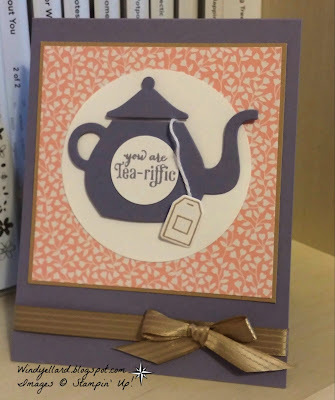 She collects tea pots so it will thrill her! This set and matching dies just came so this is my first card. 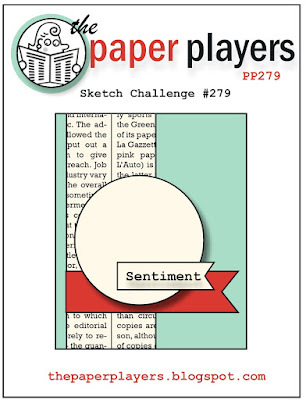 some soft Blushing Bride from the Love Blossoms DSP paper stack. I hope you have a tea-riffic Wednesday and thanks for stopping by! PP277 Soaring With A Turquoise Sky! 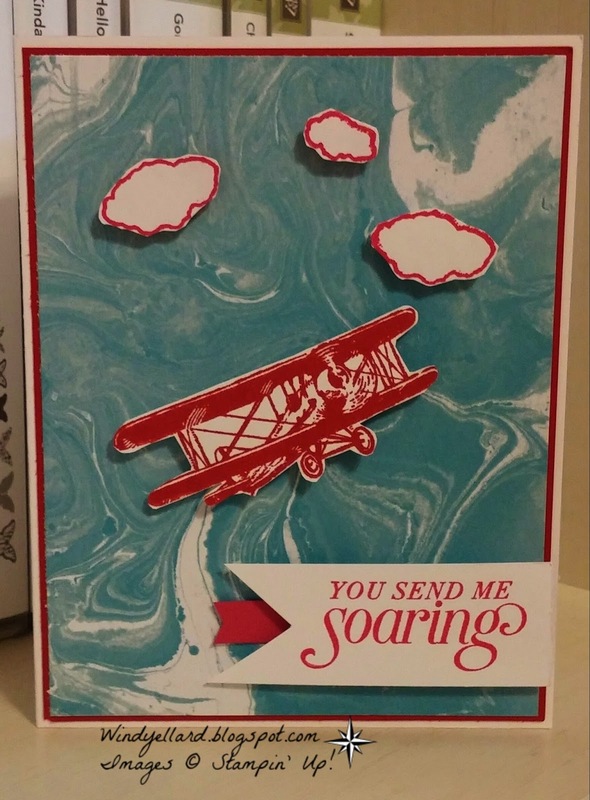 First, I want to say that I did use Real Red and Melon Mambo but they look so close when I stamped the sentiment and clouds pink and the plane red, I then added a piece of pink card stock under the sentiment banner so you can tell! That is the problem with having these two together in a challenge. But I made it work I think. 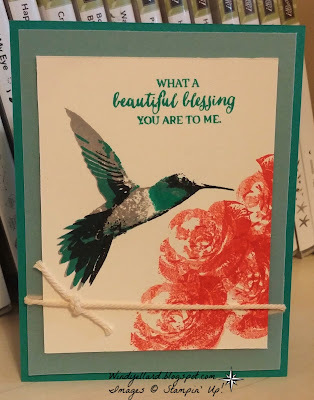 Sad thing was I had no Tempting Turquoise card stock at all but was then happy when I realized there was some in the new SAB Perfectly Artistic DSP. Pulling that out, I choose to use the background as sky and so the Sky Is The Limit set was the first I reached for. I had this heart cut from Onstage Local in Tampa in Nov. We cut it from some of the Love Blossoms DSP and I decided to see what it looks like with the heart stamp from Bloomin' Love cut out (by hand btw). I also cut by hand the banner at bottom but can't wait for the die to come this week from the Large Numbers framelits dies. 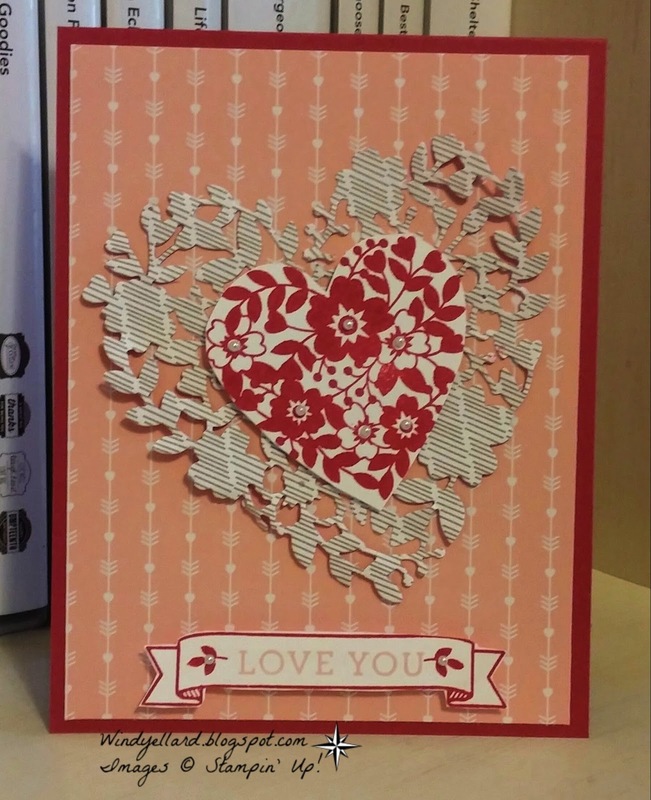 I used some more Love Blossoms DSP for the background and mounted on Rose Red card stock. Hope you have a fun Monday and thanks for stopping by! 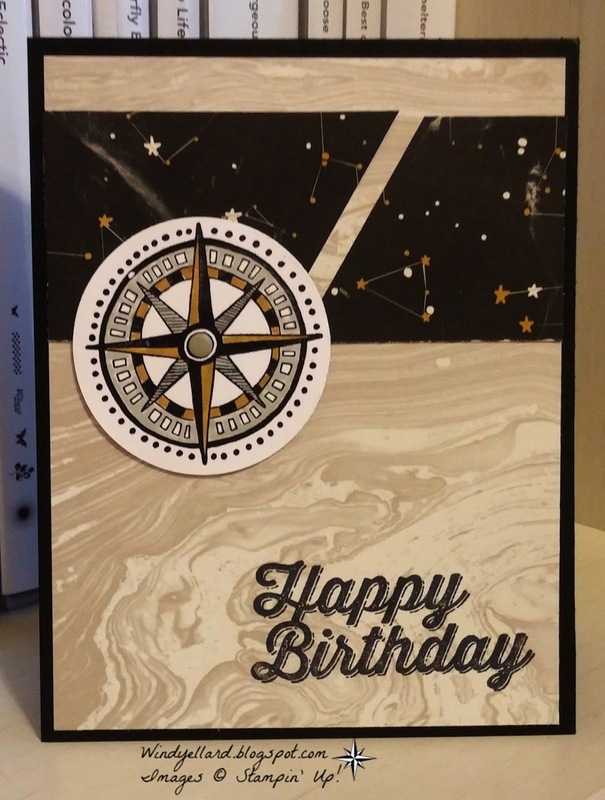 I made the background for this card at Onstage Local in Tampa in Nov. I just had not mounted it to a card base and added a sentiment yet. 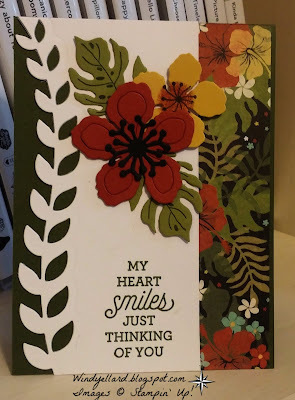 Decided to do that today and used sentiment from the Botanicals For You stamp set in the SAB catalog that coordinates with the Botanicals suite in the the new Occasions catalog. You can earn the Botanicals For You free with a SU! purchase of 50.00. I stamped on the DSP with some additions to the flowers. Fun! I am still awaiting the stamp set/dies and DSP to come in this week and I will have more cards for you with these leaves/flowers! 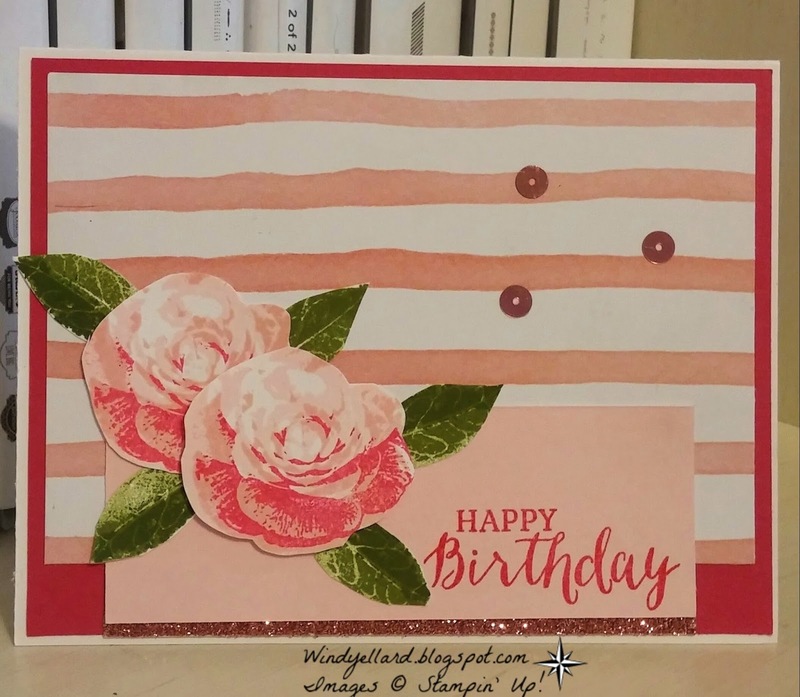 Happy Birthday With Rose Wonder! and glued them beside the rose (so not all on piece here). 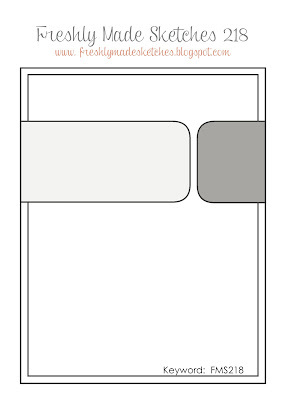 in Tip Top Taupe to keep it all soft. I just love the Going Places/Global suite. I colored the compass with Delightful Dijon and Sahara Sand markers. 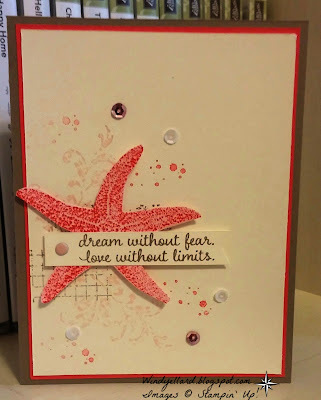 I also used a new Sale-a-bration(SAB) sentiment set called Perfect Pairings. 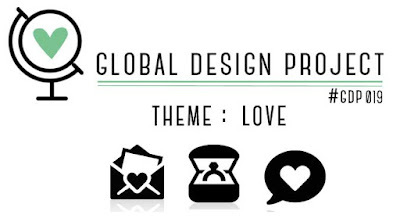 now thru March 31st, 2016.
for any occasion or other sentiments in the Going Global stamp set! Have a lovely Friday and the best weekend! 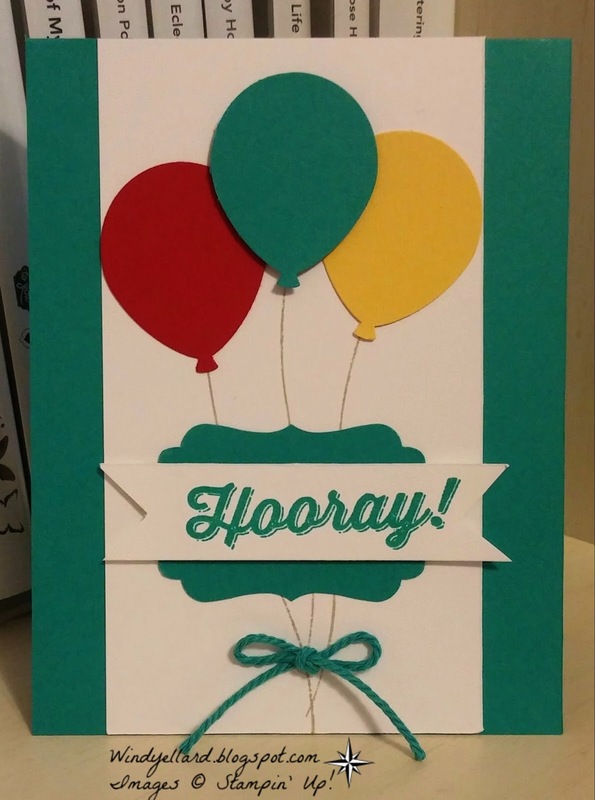 new Occasions catalog for 2016). 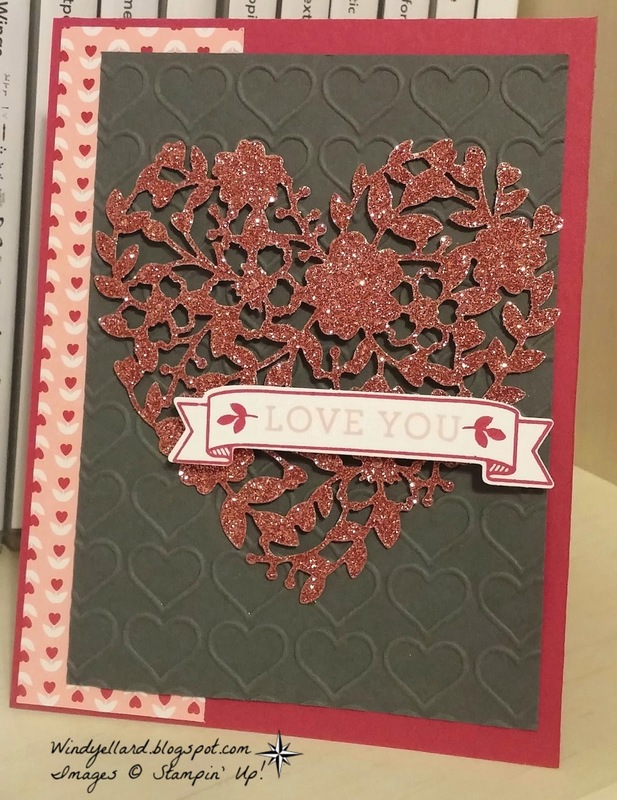 I added some Blushing Bride Glimmer paper and sequins. Hope you can play along with the new PPA schedule. We will doing a switch off of sketch and color challenge each week. Stop over at palspaperarts.com to play along! Thanks for stopping by here and have a lovely Thursday! 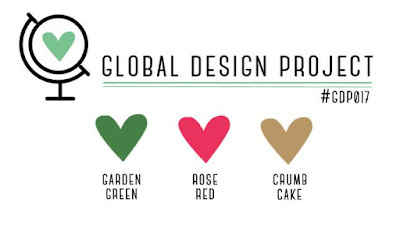 Head over to Global-design-project.com to join the color challenge this week! and the Love Blossoms DSP when I saw the colors. I hand cut the banner (the matching die not here yet)! 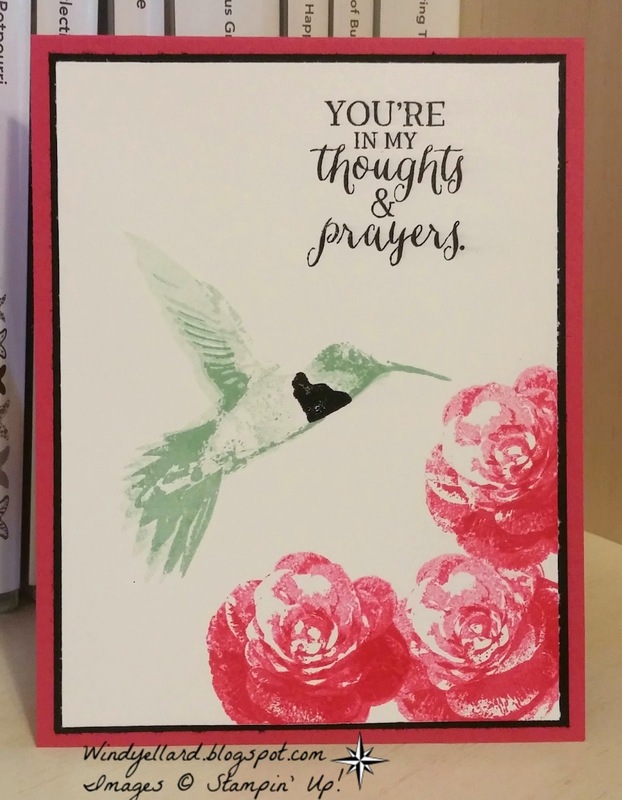 the card was and let the hearts be the focus! Sending to my college girl today! for every 50.00 you spend in SU! product. The Occasions catalog starts today through May 31st, 2016. The SAB starts today through March 31st, 2016. You have three months to earn free product! Stay turned for more SAB products highlighted here! with the right layers of colors but worth it! 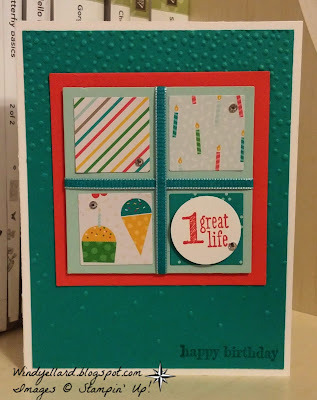 Picture perfect is my fav stamp set in the new Occasions catalog! This is a 4 step bird and I started with lightest color first. I stamped image 1 of bird in Soft Sky. I then stamped off once in Pool Party for image 3. Last, I stamped Lost Lagoon with image 4. I tried several ways and this was the best order. like a different order or intensity of color. the background of bird and banner with Timeless Textures. I hope you enjoy your Tuesday and thanks for stopping by today! I thought of the Something to Say set. which is probably the intent of the stamps 2 great people.. 1 great life. instead and I like how it turned out. for my 11th grade girls I teach on Sundays at church. I also like to make the little panels of 4 with DSP but forgot to do. I hope you can play along...thanks for stopping by! Happy 2016! I hope you had a wonderful and safe holiday season! 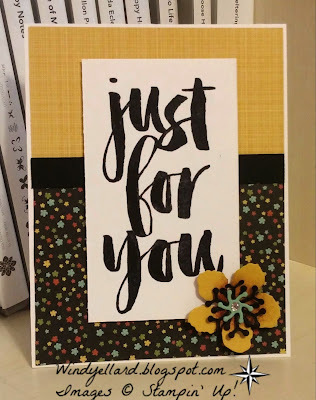 I am just getting back to my stamping space after travel and having my college girl home. I have my stamp space set up in her room and it is hard to work when she is home and has much strolled over the space! 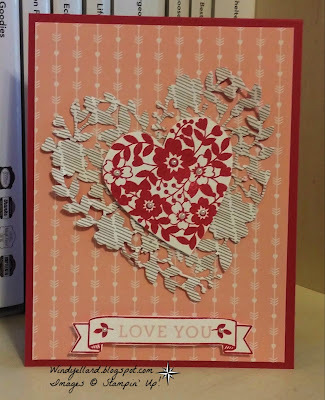 I decided to play with the Bloomin' Heart die and I hand cut the banner. 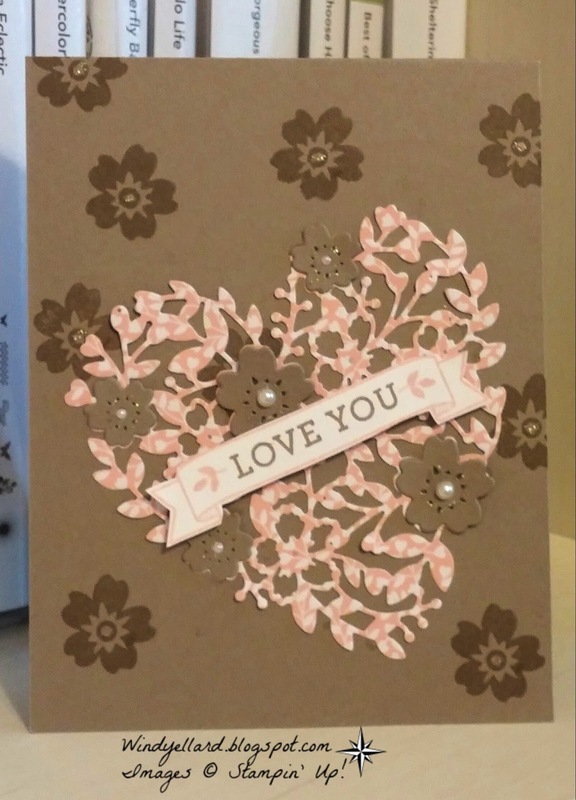 I used the Love Blossoms DSP to cut the heart die and I kept it simple with one layer of card stock. I really like the Tip Top Taupe and Blushing Bride together. I did add in the center of the flowers some Wink of Stella clear glitter pen for some shimmer but does not show up very well in photo.